Prerequisites: This is our entry-level class and there are no prerequisites required for attendance at this class. Description: Even though we call this class “basic level” this class provides you with everything you need to do a powerful Integrated Energy Therapy® session on yourself or on another person (either in person or absentee). This class has been designed to be a wonderful entry level class for those students wanting to use energy therapy to heal their lives, an ideal class for students wanting to begin an energy therapy practice, and it provides a wonderful complement to other holistic techniques such as Massage, Reiki, and Therapeutic Touch. Basic Attunement: You will receive a special Basic Level “energy attunement” that will permanently open your energy field to the power of Integrated Energy Therapy® Basic level ray. Our Basic Level attunement expands, realigns, and restructures the 1st pair (physical) and 2nd pair (emotional) of your 12-Strand DNA. Once attuned to the Basic Level IET Ray, you will have the ability to clear cellular memory of physical and emotional blockages. 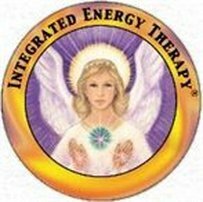 Angelic Heartlinks: Integrated Energy Therapy® is known as “Healing with the Energy of Angels”. You will learn to access the energy of angels through a simple yet powerful process that we call a Heartlink. A “heartlink” is a connection made with the angelic realm in which you visualize a golden chord going from your heart, through your throat, up through your head and then up to the angelic realm or to a specific angel, usually Angel Ariel or one of the other “Healing Angels of the Energy Field”. Once your Heartlink has been established, you will learn how to send love up to the angelic realm or that specific angel and you will find that the love returned is multiplied from the angels to further assist you in the healing of yourself or others. This Heartlink is invaluable in and of itself, however, when it is used in conjunction with the accessing of the energy system, it becomes extremely powerful and effective. Clearing Cellular Memory: you will learn about the nine cellular memory areas where we can unconsciously store “issues in our tissues” that can negatively affect our life. More importantly, you will learn simple yet powerful techniques to get the issues out of your tissues (as well as out of the tissues of others). Clearing of cellular memory is made quick and easy by means of nine sets of Integrated Energy Therapy® Integration Points that allow you to energize, integrate, and clear the nine cellular memory areas. Special Empowerment Imprints: In Integrated Energy Therapy® clearing harmful energy blocks is only half the task. After energy blocks are cleared, you will learn to channel angelic energy to form an empowerment imprint that fills the cellular memory with the opposite of what you cleared. For example, you will learn to clear the energy of guilt and imprint the energy of innocence. Class Length: 1 day (approx. 7.5 hours). This class is designed to be taught in one day, and typically runs from 9:30 AM to 5:00 PM. The actual length and times of class vary by individual Integrated Energy Therapy® Master-Instructors. Class Materials: you will receive a fully illustrated 26 page Integrated Energy Therapy® Basic Level Guide and an official Integrated Energy Therapy® Basic Level Certificate.